New Year's resolutions frequently get a bad rap, which is somewhat understandable considering most people (including yours truly) tend to set impossible goals for themselves. My philosophy is that small consistent efforts are what really help you accomplish these things. And since we are on the heels of a relaxing break from school (and I'm feeling more refreshed and renewed than I have since June! ), now is a perfect time to set a few small and simple (yet powerful) goals as teachers. 1. Be genuine, true to yourself, and avoid comparing your teaching to that of others. It's been said before and I will say it again, that teachers are perfectionists. We love for our lessons to be perfect, our classrooms to be spotless, our students to be angelic, not to mention our love of glowing feedback from administrators. That's fine, but when you compare your everyday average teaching (which really is pretty good) to the all-star lessons you catch glimpses of on Pinterest and Instagram, it can be downright depressing. Have realistic expectations of yourself and strive to be just a little bit better here and there. It will add up! And whatever you do, avoid that dumb comparison game. 2. Think of each of your students as a whole person with unique qualities, needs, and wonderful complexities. Strive to make connections with them by simply listening to them and being empathetic. Create some room in your schedule for them to be explorers, creatives, and collaborators. Heck, let them play! Read them stories without an objective other than enjoying a story together. Praise them for their strengths and contributions; let them know that they are needed. 3. Be gentle with yourself. You have one of the most challenging and rewarding jobs in the world. While it is wonderful, it is not easy. Remember to take care of your own needs. Carve out a little time for yourself during the school day, even if it is just to take a few deep breaths. Above all, remember that you are enough...simply because you are trying to be. I don't want to get too sappy here, but you really are so important to your little people and to society as a whole. Don't underestimate the effect that your efforts will have, in the present and in the future. You got this, teacher! 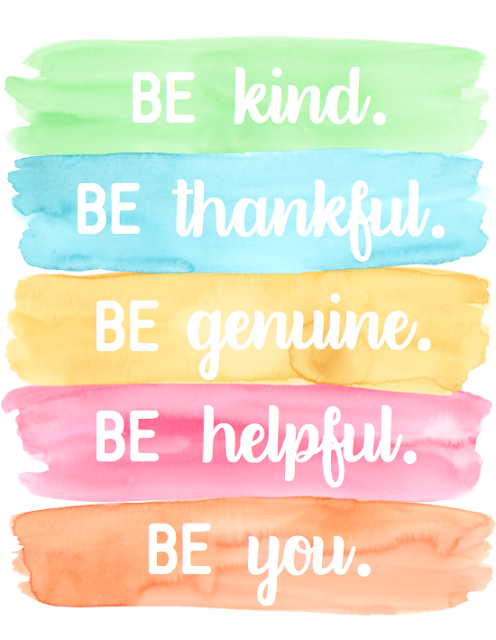 Those are the things that I want to remember as I head into 2019. I made myself a little printable that aligns with my resolutions and my plan is to display it on my desk. Feel free to grab it for yourself (click here or on the image below). Hopefully it will help us remember that it is the small and consistent efforts each day that lead to great teaching. 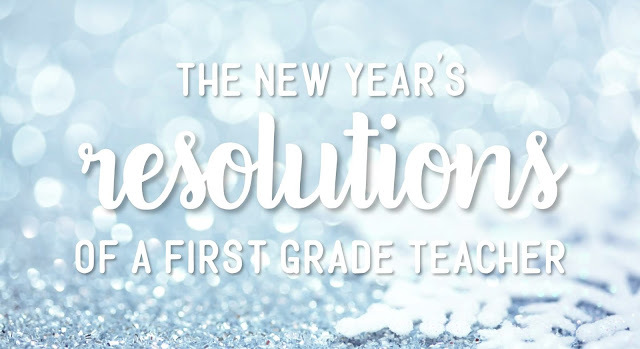 Happy New Year, teacher friends! Oh, and if you are looking for a few resources to help you with the first few days of school after winter break, I've got some good stuff I'll be sharing soon...stay tuned!